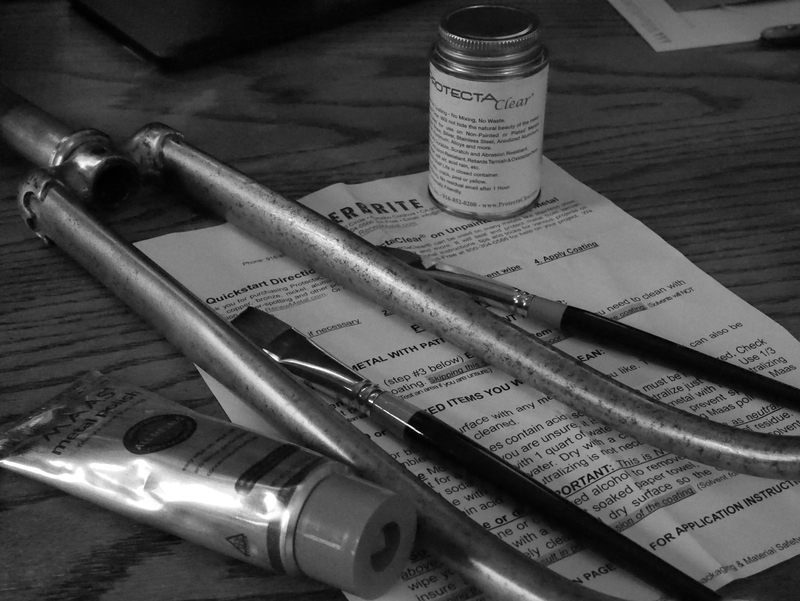 After much agony, consideration, and research, I decided to clear coat the vintage steel fork from the 1940’s/50’s Mercier Meca Dural bicycle that I have been working on for the past year. The fork had been spray painted gray by an amateur over what was rust and pitting on the fork blades. Purposefully to hide the damage? Unknown. Fortunately, steel is forgiving, to a point. I sanded off the paint and was saddened to see all the damage that could have been avoided had the painter sanded and cleaned the area first prior to painting. 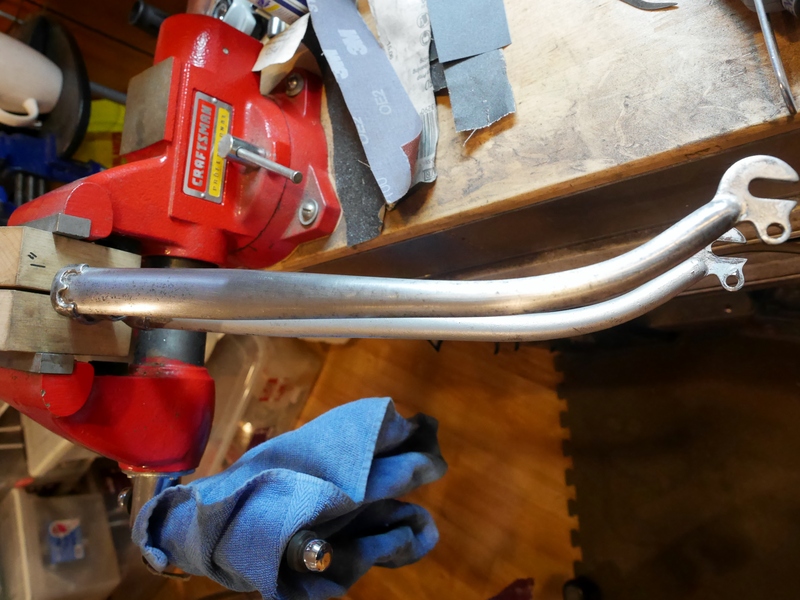 But, after removing the majority of the rust and pitting, progressively using finer and finer sand paper, I had the fork ready for chrome-plating or painting. 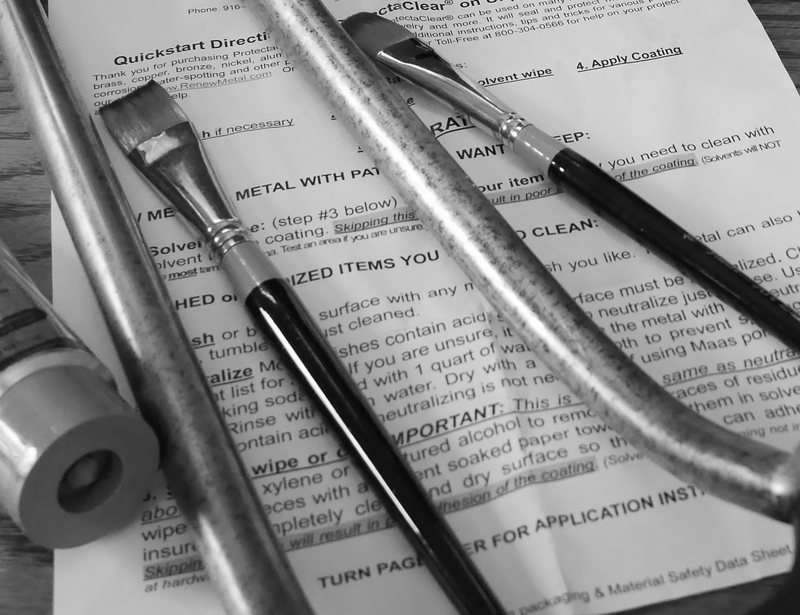 Then came the year-long search for the best plating company or painting company in the area to handle this job. This is no ordinary fork. 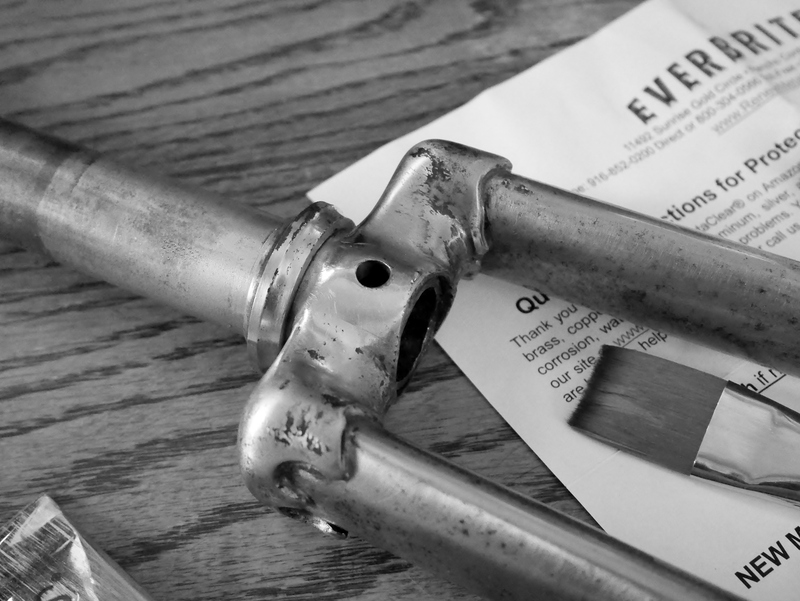 It is beautifully brazed, with a chrome fork crown and chrome drop outs. I believe the fork blades originally had been painted grey to match the grey color of the Meca Dural aluminum frame. The front spacing is 95 mm – consistent with front wheel hubs of that era, and the fork is very light in comparison to modern steel forks. I definitely wanted to give this fork the benefit of the doubt in terms of restoration. 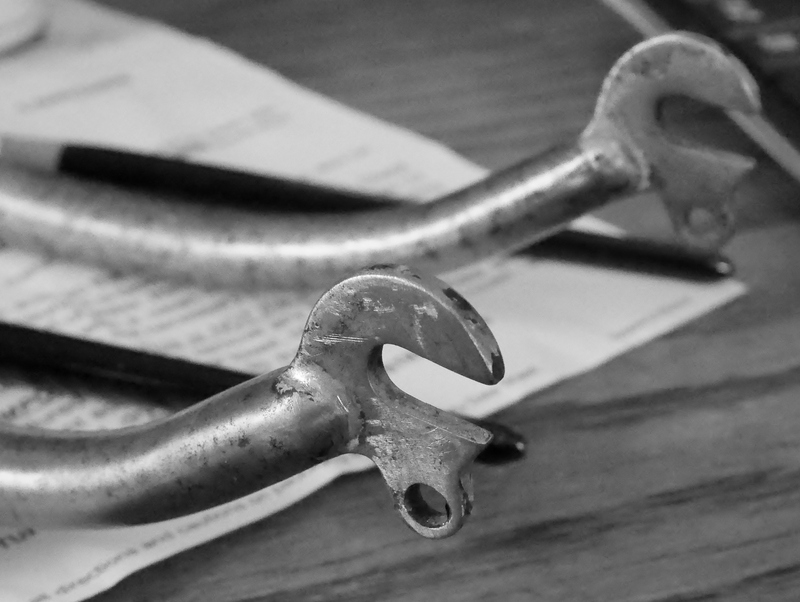 But after investigating the process used to chrome-plate steel parts, and looking into various chrome-plating services, I was not convinced that fully chroming the fork was the best solution. I thought about sending the fork out to a reputable painter to have the blades painted grey again. However, shiny new paint would really detract from the look of this lovely and unique vintage bicycle. That’s what led me to think about using a clear coat, at least for now, on this pretty fork, especially after my attempts at finding a suitable replacement fork had failed. Thanks to many restorers and enthusiasts who have shared their experiences with clear coating steel frames (which is NOT recommended by most builders), I settled on the two key products I would need to finish this job: MAAS metal polish and ProtectaClear by Everbrite. By using the MAAS polish, after the final super fine sanding and clean-up, I will be able to avoid the acid neutralization process which is normally required prior to clear coating. This is because the MAAS polish does not contain acid. I purchased professional art brushes to help with application of the paint. In the next post, I’ll share the end result. 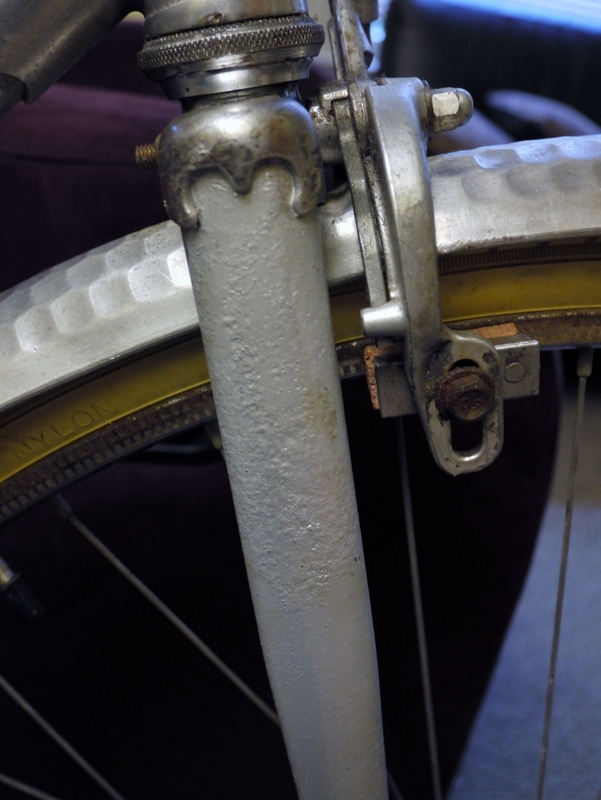 This entry was posted in Bicycle restoration, Vintage French Bicycle and tagged chrome bicycle frame, clear coat bicycle frame, clear coat steel, MAAS polish, Meca Dural, Mercier, ProtectaClear by Nola Wilken. Bookmark the permalink. Hi Jim, this method might be very useful for any frame that has some paint damage. 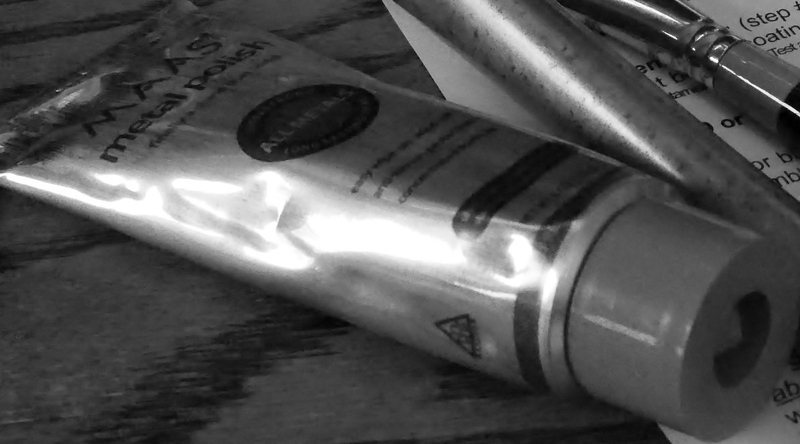 You can still keep the original look, but clear coat over the paint, so long as all the rusted areas are addressed. I might try this on my 1972 Mercian, which has compromised paint in some areas. Thanks, Nola. 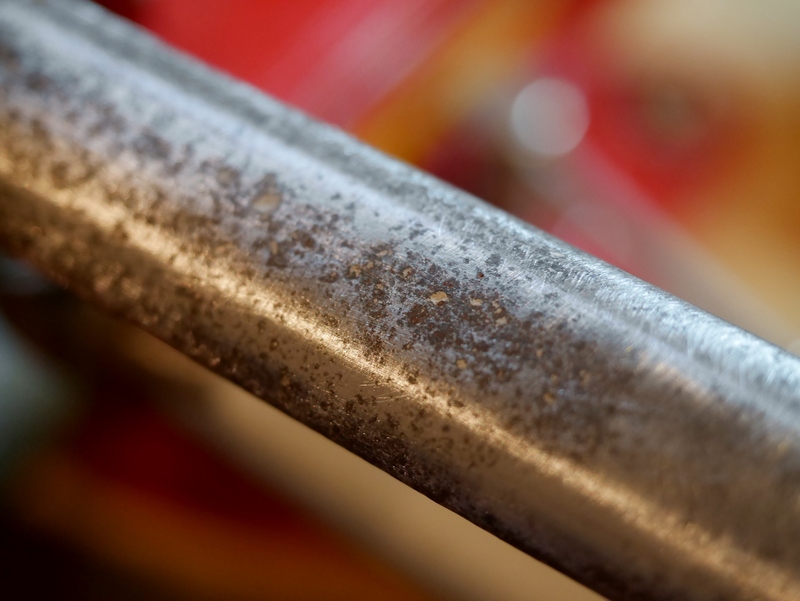 I meant to say that my chrome fork blade has a small bit of corrosion that I’ll likely leave alone as not visible really. The paint job on the frame though is pretty decent (for vintage Italian paint) with a couple of small blemishes mostly where chrome undercoat comes through. Since the frame paint has no rust, is a wax OK? Thanks again for your neat blog! Yes. I think a couple coats of wax will do the trick. Good point – there’s no reason not to do an acid treatment before painting, even if not necessarily required. Now that I have used the MAAS product, I see that I will never use anything else – it is amazing. I love that you are bucking the system for an alternative method. Our ilk gets stuck in major ruts sometimes, categorizing parts, brands, techniques, etc. with sometimes narrow windows of what is deemed acceptable. The technique of clear coating rarely comes up and it is too bad it doesn’t more often. Yes, there are some concerns and more detailed steps that need to be taken but nothing good in life doesn’t come without at least a little sacrifice. I look forward to your results and will be watching this thread closely! 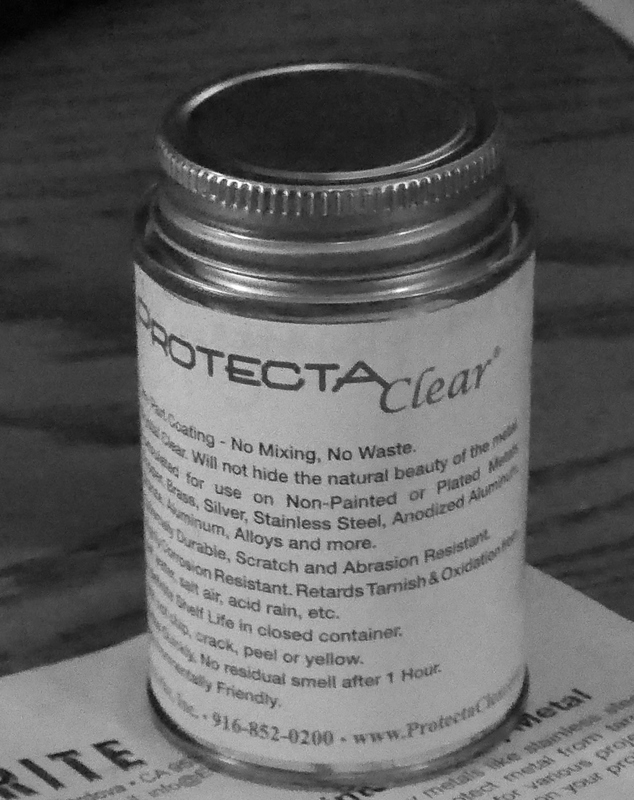 In this case, clear coating seems like a great solution. The frame itself is aluminum, so it can’t rust, and it’s a bike that I will store indoors due to its rarity. I don’t have any sources for 2 pac touch up paint. I use Testors paints for touch ups.